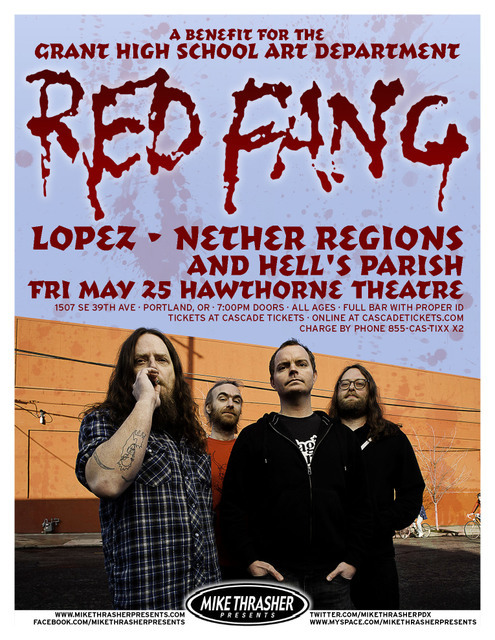 Portland Oregon’s RED FANG are in the midst of wrapping up their European tour with a show tonight in Moscow, Russia and their final gig tomorrow in St. Petersburg, Russia. Before they had back state-side the band is pleased to announce that they have just confirmed a new batch of North American tour dates. Included in this run are headlining shows as well as shows serving as direct support to The Sword. All tour dates can be found below. RED FANG has announced a handful of headlining dates in addition to their current North American Tour with Mastodon and The Dillinger Escape Plan. A complete list of dates is listed below. Additionally, the band is currently sharing war stories from the road via an exclusive tour blog at Altpress.com here. Renowned for their sense of humor and penchant for over-the-top music videos, RED FANG has recently finished shooting their eagerly-awaited new clip for Murder The Mountains track “Hank Is Dead”. The video was directed by longtime friend of the band, Whitey McConnaughy (THE GOSSIP, MUDHONEY, FLOGGING MOLLY) in Portland, OR. 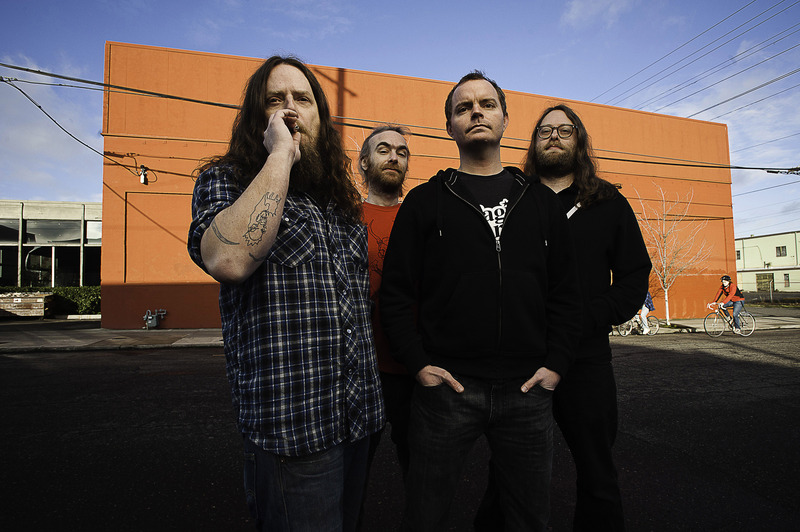 RED FANG has previously worked with McConnaughy on their much-talked-about “Wires” & “Prehistoric Dog” videos that can be seen here and here. RED FANG has announced more tour dates in support of its brand new album Murder The Mountains. The band has confirmed a hometown record release show for Saturday, April 30th at Branx in Portland, OR in support of the album which comes out today. RED FANG has also added dates to their first-ever European tour this June that concludes with a performance as part of Hellfest in Clisson, France. A complete listing of confirmed RED FANG tour dates can be found below. RED FANG are currently streaming “Dirt Wizard”, taken from their forthcoming album Murder The Mountains, exclusively via AltPress.com. “Dirt Wizard” is the third preview track from Murder The Mountains that has been posted online, along with “Number Thirteen” and “Wires” here. Additionally, “Hank Is Dead” is being played exclusively via Sirius / XM Radio. Murder The Mountains will see its North American release on April 12th (April 18th internationally) on CD, 12” vinyl, and deluxe digital (available at iTunes). The CD is available for pre-order at this location along with an exclusive new RED FANG shirt design.